As Charles Dickens taught us in A Tale of Two Cities, “It was the best of times, it was the worst of times, it was the age of wisdom, it was the age of foolishness…” The second edition of The Art of SEO is the Tale of Two Cities of the SEO community, of which I am an unaccepted part. In the book the SEO cognoscenti share a wealth of esoteric knowledge on how to succeed at SEO, yet fail to present the material in such a way that mere mortals will be able to successfully implement the strategy. Here is my book review. A book can serve many purposes, a book can serve many types of readers, and a book can be written by many communities. Yet all authors want to sell books, and so all authors will generally present their book as a good read for you, even if perhaps it is not. (I know, I am an author myself as well as a teacher of SEO). This second edition of The Art of SEO is perhaps the most important new book on SEO and deserves a place on the bookshelf of anyone serious about SEO. If you are an SEO (or could ever think of referring to yourself as an SEO)… then this book is definitely for you. It is by the cognoscenti, for the cognoscenti. This reminded me of some advice I heard from Web Design Plus SEO. A friend was telling me about how they dealt with SEO and how to find and hire a quality seo company. But, if you are a small business person or a mere marketer, one who wears many hats besides just SEO… then this book is definitely not the first book on the subject you should read. Maybe not even the second. Maybe not even a book you should read. Why? (Don’t listen to the authors or the publisher, who will no doubt claim this is the book to buy. Consult instead my list of Best SEO Books Ever). First, it will overwhelm you. The authors present pages upon pages of esoterica without a clear organized style that deliminates what is important (CRITICAL! DO NOW!) vs. what is optional (Non-critical, do later). Anyone serious about SEO and small business marketing will tell you: first, place your keywords in your TITLE tags, second, get links. Third, circle back and write lots of keyword heavy content, that follows SEO page tag best principles. Rinse, repeat. That in and of itself will get many websites onto page one of Google. Even if you are a niche business you may not need to hire the best dental SEO services to reach the #1 spot! But, second, The Art of SEO will discourage you. I have taught thousands of students in my classes, and I know my students. I know small businesspeople and I know marketers. They will not only be overwhelmed by this book. They will be discouraged. Overwhelmed by “too much information” they will fall back into analysis paralysis and do nothing. Yet… SEO is a learn-by-doing art. Start by knowing your keywords. Write keyword heavy content, and place those keywords in your TITLE tags. Get links. Keep learning… Most important: don’t get discouraged! So my first conclusion is that The Art of SEO is a book by the SEO cognoscenti for the SEO cognoscenti. If you are merely a small businessperson or a marketer, do not make this your first book on SEO! IT WAS THE BEST OF SEO ESOTERICA. The differences among navigational, transactional, and informational queries. Who knew? Eye tracking maps – ouch! My eyeballs hurt. A discussion of query deserves freshness – just as with lettuce, fresh is better for SEO. Page Level Link Metrics vs. Page Level Keyword Usage – I would say in normal English: GET LINKS. WRITE KEYWORD HEAVY CONTENT INSIDE YOUR TITLE TAG. 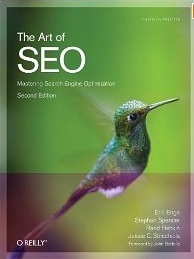 As a SEO wannabe, a person dedicated to making SEO easy for regular people, I loved this book. It was like reading the inside scoop of the insiders… I learned quite a few new things – nothing dramatic, but lots of new little things, and confirmed some things I had come to believe from my own research. For instance, that for localization, having a server located in the country (such as Canada or UK) is hugely important to local optimization as are local link building, cross links to your Google Places pages, and other timely tricks of the trade. It was the Best SEO Book. It was the Worst SEO Book. So if for the average user, the book is too complicated and the information tragically not presented in a hierarchical, organized do this / not that / do this first / do that later fashion… for an insider, it is the best SEO book ever written! Tragically, books suffer from time delays. This book must have gone to press just as Google began rolling out the most major change to search perhaps ever: social search. Social search is how Google interprets social “votes” for websites such as Twitter Tweets, Facebook shares, and Google+ circle sharing. Because Google is working hard to promote social search, any serious SEO book today must discuss social search. Sadly, The Art of SEO misses this discussion. I am sure by the third edition, it will make its way into its pages. But it does not factor into the second edition. Yet social search is huge – and if you are in the cognoscenti of SEO, you should be doing that. But if you are in the know, you already know about authorship, rich snippets, and how to get your picture on a Google Search for something like ‘SEO training’ or ‘Social Media Classes’ as do I. So in sum, if you are seriously interested in SEO, buy this book. If you are looking for an easier, simpler, just-get-it-done-read, consult my list of the best seo books ever. 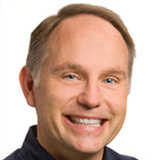 Fremont, CA – April 17, 2012 – Jason McDonald, a leading SEO / Social Media consultant in the San Francisco Bay Area, is proud to announce his latest Internet Marketing Course taught in person at Stanford University in Palo Alto, California: Marketing without Money. This hands-on course will teach the marketing manager or small business owner the secrets of marketing without money — think of it as "creating buzz without bucks." For entrepreneurs or marketing managers, there are strategies to build awareness, programs to generate trial, and activities to involve early users in the building of your business—all with little or no cost. "Stanford has an amazing program for busy Silicon Valley executives, marketers, and entrepreneurs," explained Dr. McDonald. "This will be my third session teaching, Marketing without Money at Stanford, focusing on Internet Marketing, SEO, and Social Media Marketing not just for the Palo Alto / Stanford Community but for many others in the Silicon Valley / San Jose Startup Community. The course looks at Internet Marketing very broadly rooted in SEO (Search Engine Optimization) and Social Media Marketing (Facebook, Google+, Twitter, LinkedIn, etc.)."